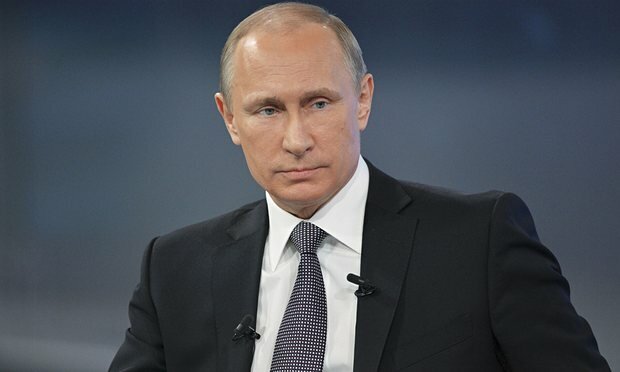 Vladimir Putin has decided to cancel a planned visit to France amid a row over Syria. The Russian president had been due to meet his French counterpart Francois Hollande and open a new Orthodox church on October 19. However, after the French government said talks would be confined to Syria the visit was halted, presidential sources said. On October 10, Francois Hollande suggested Russia could face war crimes charges over its bombardment of Syria’s city of Aleppo. The French presidency had told the Russians President Hollande would attend only one event with Vladimir Putin during the visit planned for October 19 – a working meeting on Syria, according to the sources. But after this Russia “let it be known that it wanted to postpone the visit”, they added. A spokesman for Vladimir Putin confirmed the trip had been canceled, adding that the visit would take place when it becomes “comfortable for President Hollande”. Despite this Francois Hollande has said he will meet Vladimir Putin at “any time” if it would “further peace”. The development comes a day after President Hollande told French TV that prosecutions over Syria could take place in the International Criminal Court (ICC). “These are people who today are the victims of war crimes. Those that commit these acts will have to face up to their responsibility, including in the ICC,” the French president said. The area was hit again on October 11 in some of the heaviest air strikes in days, a monitoring group and activists said. According to the UK-based Syrian Observatory for Human Rights, 8 civilians were killed in strikes on the Bustan al-Qasr and Fardos districts. The UN has warned that eastern Aleppo, where an estimated 275,000 people still live, could face “total destruction” in two months. Last week Russia vetoed a UN Security Council resolution drafted by France calling for an end to the bombing in Aleppo.